In our last episode, I told the tale of a young lad who needed to show off to his friends and just about pulverized himself against a line of trees. If you recall, that lad was me when I was 16 years old. 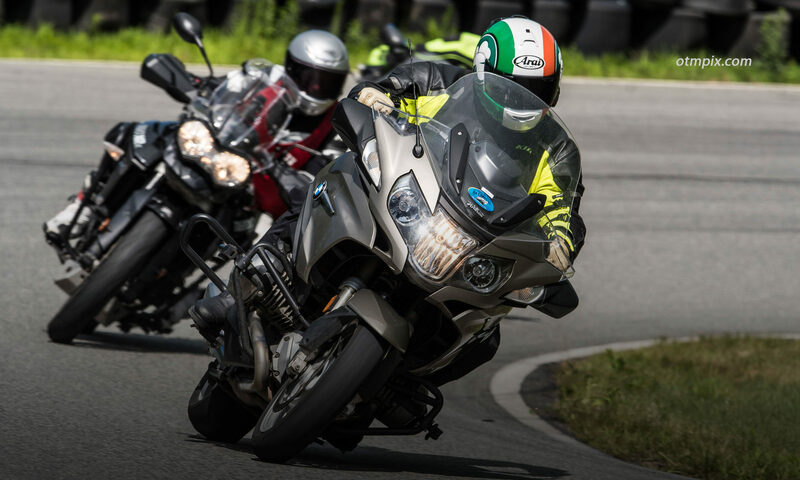 Well, there are more examples of the trials and tribulations that I experienced as I went through the arduous task of learning how to survive at motorcycling. Today, I’ll tell you of the time I tried to be a good guy and was rewarded with a tough guy with a bad attitude. My 1971 Bonnie. I owned it until 1989. Unlike other anecdotes I will be sharing in this series, this story does not involve any failure on my part, except to assume I would not be threatened for trying to be helpful. It was 1981 and I was riding home at night on my 1971 Triumph Bonneville on Commonwealth Ave. in front of Boston University. I was minding my own business when I noticed a car in my rear view mirror without its headlights on. At the next stoplight, I kindly signaled to the driver that his lights weren’t on. Well, the passenger must have been looking for a reason to pick a fight, or perhaps my well-meaning comment triggered a childhood trauma. Either way, the next thing I know, the passenger door swings open and an angry guy brandishing a baseball bat comes toward me. Not wanting to see how well my full-faced Shoei helmet would withstand the impact of a Louisville slugger, I promptly got myself outta there. This meant running through the red light and accelerating as fast as the 650 twin would go. I figured that getting out of there was all I needed to do to shake my would-be assailant, until I looked in my mirror to see that he too had run through the red light and was in hot pursuit. As it turned out, I was able to shuck and jive through enough side streets to encourage the angry young men to give up the chase. I made it home in one piece. Although my perception of the kindness of man was left tattered on Comm Ave. that night. Wow, there really are people among us who would choose violence over reason. Alcohol likely fueled their hair trigger response to my attempt at being helpful. Which just goes to show the kind of people we share the roads with…drunk and angry. Here is a photo of a bagpiper. It has nothing to do with this article, but it does show the weird things you come across when on a motorcycle. Jeannine and Caroline look on. The bat-wielding jerk made my life flash in front of my eyes because I was vulnerable. Sitting exposed on a motorcycle in the middle of Boston at night made me vulnerable to whatever these crazies had to deliver. The good news is that a motorcycle is pretty quick and maneuverable (even a 1971 Triumph), so I was able to evade my pursuers. What would I do now? I would not risk the consequences of engagement and instead distance myself from anyone driving without their headlights on at night. This indicates a possible drunk driver who has the potential to hurt me. Syonara, sucker. Have any of you had a similar situation happen to you? Stay Tuned for Epoisode 3 when I learn that a too-fast entry speed can be very dangerous. Learn from my experiences by ordering the book. Yes happened to me on two occasions 1st time this giy thoght I stopped too close behind him but a cop in the other lane stopped his antics, Second time I drew my ccw as a guy got out of a car with small shovel thinking I invaded his personal space by stopping behind him. He thought wisely and got back in his vehicle pronto. My neighborhood is changing changing….